Came in the mail a couple of days ago for me. $20 discount dinning voucher. Doubt I will be using it. 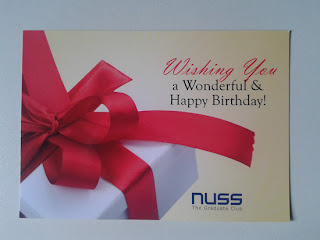 This is the first time I receive something like this from them. The banks always send theirs and I never used them too. Finally managed to set up my old Garmin we used in Dubai with Singapore, Malaysia maps. Overnight, I got the North American maps too, which would be indispensable for our trip there later this year. These maps reside in the SD card and have to be renamed before they can be used. It also happened that the votes separating the two Dr Tans at many counting centres were in the double or triple digits, one way or the other. It is the voting patterns of winners and losers from the policies of the PAP government. It is not a failed government, only a failing one because they have accumulated enough political reserves from the past. They must realize that the trend is against them. It was Tan Jee Say candidacy that drew votes away from Tan Cheng Bock. I had friends who had switched away from TCB to TJS, and I have heard others doing the same. With Tony, who believes that some people are more equal than others in the Istana, it is business as usual and therefore for at least two thirds of the voters, an irrelevant president. This guy will do shows and tell of uniting the people, but there will not be substance. He looks like a one-term president to me. It is six long years, but if I suspend my feeling for most voters, it makes no iota of difference to me. I don't need him or even my MP. The take away from the results is that the rich and successful want to preserve their position. Individually they are limited how they can offer intelligent and targeted help to others. They need to be organized and led. A people's president would be helpful, i.e., TCB. The fact that many in this segment did not vote for TCB tell me that our upper class is no different from many places in the world, and France might be better than us. So much for nation building. We built and then we tore it down for the sake of $$$ or GDP growth. So clever. We gained the praise of the world like never before but in reality, we are quite pathetic. One man, one vote. Never mind the chop and rearranging of constituency boundaries; first past the post etc., Look forward to the PAP working themselves out of government eventually. They might even bring forward that day from internal divisions. Only the external environment can cause them to change course, i.e., when other societies start redistributing wealth before we arrive at a crisis point. It is a tad complicated, but a big part Singapore's wealth is a Ponzi scheme. That is why the wealthy badly need various friendly policies from the government. These are socially unjust policies. They dare not risked and succeed in the fashion of Sim Wong Hoo. Andy Xie, my former colleague from the Sell side was on the mark. No wonder they fired him. Were his assertions rubbish, he would have been discredited instead. Gave this stall selling Thai food a try tonight. Quite good. 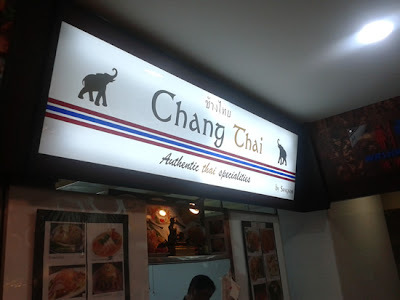 They are located in the new coffee shop at Ghim Moh. We ordered the Tom Yum clear soup and the Pork Omelette Rice. Verdict: We will definitely be back. I have heard more than once Steve Job's commencement speech at Stanford. It has gone viral. I am glad to have discovered that Tim Cook, his successor had also given one to his alma mater, Auburn University. Looks like he has plenty of the Job's formula in him. I hope he brings to Apple something of his own to make up for the parts which is humanly impossible to obtain from Jobs. Animals, much less humans cannot be cloned. From Cook's speech, you will realize that there isn't such a thing as a safe pair of hands, but there is time tested wisdom we can live by. For safety as we understand it means predictability. Against a world of constant change, that is a very bad idea. Safety means no room for evolution, must less radical innovation. A safe pair of hands will keep you safe for a time but at the end of the road is death. Life is dangerous, get used to it. Caught this at Doc's facebook early this morning. A good take off from my post yesterday. This isn't just a press briefing, it is packed with good old fashioned common sense and wisdom. My children should spare the 45 mins to sit through this. The openness, the easy banter. Compare this to the Dark Side, which do not unify but coerce and threaten you into submission. The very private Tony Tan could never connect with us like Tan Cheng Bock is able to. "The party will need to take a critical look at their own way of doing things. They have to learn how to fight again. They have lost their fighting skills. They must learn from me." His comment was greeted with laughs from around the room. Something more sobering but as an outsider, it is not my problem. If they don't buck up, and if they eventually lose, that's their fault. "There's definitely a division in the PAP. I can see many of the grassroots openly come and tell me they support me in spite of being told by others not to. They obviously abandoned that expected stand and it's reflected in the votes. The PAP split is right down in the middle. But I'm no longer in PAP. Like I have witnessed again and again, the present PAP leaders have no courage. Still remember the humbling climb down by Ng Eng Heng and the PM over MT weighting issue in the PSLE. Caused me to lose my respect for them. Speaking to the media at his home, Dr Tan Cheng Bock said: "You see, you must never run away from the issue. If it's divisive, you can't say oh cannot do. All the more you have to make the effort. 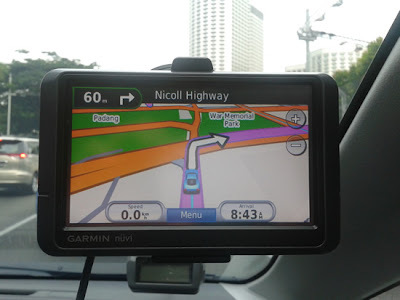 That will make people wake up to have that aim for the whole of Singapore." They don't have someone like Tan Cheng Bock, they cannot hope to close the divisions. Now they would want to make use of him. Why do you think the PM also called to congratulate him after making it hard from the grassroots to support him? And a lot of effort is needed to close up the deep division, said Dr Tan Cheng Bock who lost by a razor-thin margin of 0.34 per cent against Dr Tony Tan, who captured 35.19 per cent of votes and is Singapore's seventh President. This President is irrelevant to us as SR Nathan presence wasn't noticed and his absence will not be missed. The EP is a device by the PAP government to check a rogue non-PAP government. If the PAP is the ruling party, this President is effectively a ceremonial President, i.e., like those before Ong Teng Cheong, which were not chosen by us. Of course he didn't mean to unify us, but it is the necessary public pronouncement. His smile is good to look at but not to be experienced. The further I stay away from him, and that is easy, the better. Unlike those I read on the social media and even some neighbors, I don't consider that we have lost because our preferred candidate failed to win the office. If that is how I feel, I should have been more active out there fighting with the one I had chosen to win more votes. No, to be rational, most of us who were not activist must have a plan to win regardless who is President. This President is irrelevant. It is jut a very expensive PAP product on the chair. The President that mattered much more but we do not have the right to choose is the American President. As Singaporeans, as the ultimate price-takers we must be farseeing and adaptable. Foresight suggest that moral corruption which entered the PAP government sometime back has grown to the point that it has become obvious. In the next few years, even more people will notice it. Any government we can ever form will be a price-taking government. This one is a lousy price-taker because as candidate Tan Cheng Bock patently pointed out, they often put party ahead of national interest. Perhaps if this President could hold on to office for two terms, his grandsons will like his sons serve their full NS liabilities. That is not the issue which the MSM tried to mislead us. The issue is they might enjoy preferential treatment for NS like their fathers had. As it is, a large segment of us will never respect him as President. The standards of national leadership here is normalizing to the rest of the world. What's wrong with that? President-elect Tony Tan has identified his first task of business, hours after he won the presidential election, which is to unify Singaporeans including the two-thirds who did not vote for him. The writer, Leong Weng Kam lamented that we no longer remember Mr. Tan Kah Kee. I don't see it as a problem. Anyone who wants to emulate him will discover him. Those who extol his example because it is politically correct to do so, would just be hypocritical. A little exposure in the papers today for this great man is good enough to pique the interest of anyone who wants to find out more. If we have more rich guys like Tan Kah Kee, we would have a much less serious problem with the current widening income gap. We can wish all we want for such guys, but they are born and not made. Granted if I am wrong, we do not know how to make them. As it is, the rich are more worried about losing their relative position than the poor in meeting daily necessities isn't it? The current global financial turmoil has exacerbated their fears further. Meanwhile the middle class as long as they have cashflow, they often do not even have too much savings to worry about inflation eating away their mediocre wealth. Tan Kah Kee's solution to preserving his wealth was to give it away. Not enough Tan Kah Kee types, government is increasingly under pressure to redistribute wealth. But the solution lies outside Singapore. It comes when our competitors and markets begin to tax their rich more. They are trying to resist that but I believe they can only hold out for so long. Can we hold out long enough so that we will copy them? Forget about wealth trickling down. Forget about having a few new Tan Kah Kees here. Perversely if they appear, their good works might frighten the government as those social workers had in 1987 and were detained under the ISA. The government only wants your money to fund their plans. You are not suppose to plan. In our modern society, we have made it even harder for a Tan Kah Kee to emerge. When I was a kid, my late father told me the tycoons here were racing each other to build the tallest office tower in Singapore. The government put a cap to that and in the end they built three towers, all as tall as each other. This brings me to the article Dr. Lee Wei Ling wrote today in the same paper. Most people will not share this good doctor priorities, the daughter of Lee Kuan Yew. I don't think even her brothers are like minded with her here. At this moment the Me Generation holds the reins of power. As the millennials discover the futility of this generation, hopefully they will make better choices. An early sign of that happening is when they turn their backs to the path of success of their parents. I can't imagine my kids would like to have the sort of occupations their parents were engaged in. I woke up later than usual this morning, at about half past six. I read the WSJ in my email reporting that Tony Tan had won the Presidency. Earlier I briefly woke in bed and sleepily read the same off my phone on facebook and had a good shut eye until now. I have voted for the right guy even if he didn't win. We have to respect the outcome of the system. It isn't a fair system but it is also not unusual. Most voting systems in the world aren't fair. In the long run, we can try to improve it but in the short term we have to get on with living successfully. The elites are far smaller than the 35.19% that voted for Tony. The balance of the non-elites that voted for Tony are to me those who are at the moment only able to pass off rearranging prejudices for the ability to think. You have to give them time to learn how to think. Between now and the next elections, they will have plenty of unpleasant opportunities to do just that. The election of their preferred candidate to the Presidency only makes it harder for the ruling party to fight the next GE, which is what really counts. As usual they have the bad habit of wanting to have it all. It is up to them if they want to win every battle but lose the war. So Yahoo had announced this two hours ago when we were still "kooning" Not important enough to stay up for the results. Many times more rejected votes than the winning margin. The results are not very credible. Tony Tan has been declared seventh President of Singapore. An example of the many I suggested who cannot think. Not difficult to find. Nancy Tham I think choosing a president is not about what he favors for his political grounds but whether he has the making of a president. Having said that, it would have been painful to see a president who does not stand in line with the ruling party. That I think would have been a bigger joke. When I bought this for our stay in Dubai, I thought I would never need it again when we returned to Singapore. I am even surprised that this model is still available. 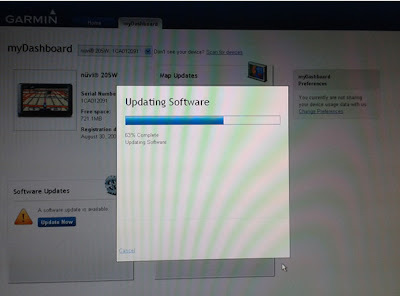 I just updated the software. I got to test that everything is OK and then I would buy the road maps for our USA trip later this year. 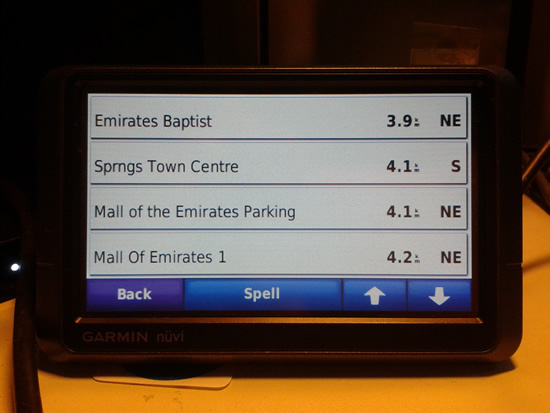 Doesn't make sense to pay the car rental company for their pricier and inferior GPS system. Brings back the memories as I get ready to clean up this device. All is Tan, Tan Ku Ku for our decision please. "Aiyoh", there has been lots of "Tans" funny characters and nouns around but this one must be among the best to date. We haven't gone to the polling station yet and this is some pre-decision fun before deciding courtesy of Mr. Brown. Who else? Must make the Tans, Tan Ku Ku for our decision right? It is raining heavily outside. No morning walk today and no early trip to the polling stations to cast our votes for the next President. I had spent the last couple of hours researching air fares for our trip to San Francisco, the kids most popular destination, that I didn't check facebook as per my habit. John Piper had something to share as I flip to my facebook wall. How appropriate a message on Abraham Lincoln when we choose a President today. Perhaps a picture perfect first family although desirable, the lack thereof may conceal a special President. So just stick with the man and accept the family that goes with it. None of the prospective First Wives as far as we can tell is remotely like Mary Todd anyway. No President moves me like Lincoln. Look at his long face. So much for the joy of the Lord is my strength. Of course that's true that joy was present which fill the letters he had written to the common people. Shallow types among us have no blinking idea faking it and confusing new seekers of the Faith. In joy, Lincoln and Mother Teresa were connected. As their roles were different, the display were also not the same. America was a nation far more divided that we are? Now who among the four is the most unifying? "The Slow Fires of Misery"
Abraham Lincoln’s marriage was a mess, but accepting the pain brought deep strength in the long run. 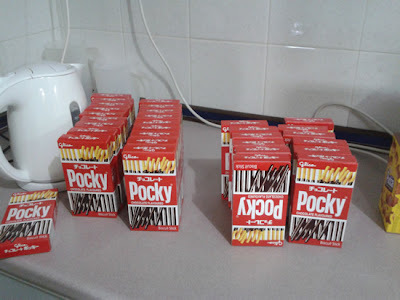 July 17 we had an excess of thirty boxes. I restocked it today with 12 more boxes bringing the total to 33. If my memory serves me well, in between I had added ten boxes but were not recorded. Good, we aren't eating too quickly and too much. My friend made this astute observation, "In this election, two are campaigning as MPs, one as senior minister, and finally only one as president"
To my kids when you have time, can you tell which ones they are? Good family doctor common sense logic here. No fear mongering which is completely out of character with the PAP. The most Wee Kim Wee like but with plenty of evidence from his track record that this guy has courage. As usual I am writing for my family and myself; not trying to sell Tan Cheng Bock to others. By now, I have realized that everyone has their preferred candidate and mostly you can't reason with them. Who is right or wrong about the choice of President, we will eventually learn by a stroke of fortune or the hard way. In life we should never always play it safe. We should always be brave and courageous. Why have we allowed ourselves to be so fearful to the point that we don't want to have children? To make it perverse, we don't even want to admit to that. If we play it safe, some of our critical problems will keep growing until they are no longer solvable. Without admitting it, we are as good as other societies which kick the can down the road. Tony Tan and Tan Kin Lian are out for me. The choice is between Tan Cheng Bock and Tan Jee Say. Should not be a problem deciding when the time comes. The ST today provides more detail than the brief from ChannelsNewAsia yesterday. This morning the WSJ also wrote a story on PE. It didn't suggest that investors would be alarmed. The SBF is just a paper tiger. I wonder how much this chap spoke for his members. May be only those who badly need foreign workers? Asked his views of the SBF statement, Singapore International Chamber of Commerce (SICC) chief executive Philip Overmyer said its members felt it would not be appropriate to comment on the election. SICC represents more than 500 foreign companies here. I think it is mostly the cosseted and spoilt local firms, the ones Ho Kwon Ping pointed out as addicted to cheap labor who are now selfishly protecting their narrow interest but were clever enough to con a less able government to listen to them! A government that has lost much common sense. The business community here is making their worry public. They are afraid of what politics is morphing into in Singapore. Should I read their advice to vote for stability, predictability and hence business friendliness as a threat that rice bowls are at risk? Why do we even have such an issue in the first place when we never had before? I think it is because we are polarizing into a society of haves and have nots. Up to the point when enough people feel that the social contract is unfairly stacked against them, especially when they think their children's future is bleak, they will take a chance with change. This government provide handouts through complicated and hard to understand schemes. It is good that people receive help, but it is terrible that such help also diminish their self respect and hope for the future, again especially for their children. At the end of the day, nearly everyone wants to work rather than receive handouts. I don't know what the results of this PE would be. The sense I am getting is that Tony Tan will win. If so, the SBF couldn't be happier. I don't think Tan Kin Lian would win and I hope he doesn't lose his deposit. I am even starting to regret writing about this possibility, but only because he had publicly articulated the possibility himself. Each of the other three candidates, they bring with them different risks and possibilities if elected. I think we can make something positive from any of them. In an ideal world, businesses would take care of their employees and customers. We don't live in such a world. The real world is one where businesses take care of senior management and shareholders. Everywhere in the world, government have the job of redistributing wealth to the masses. Very few tycoons are as farseeing as Warren Buffett who astutely recognizes that it is in the long term interest for his community to give more to the larger society. The option to be more wealth redistributive will not meet with retribution from investors if our competitors are also doing the same. Given the economic and political winds elsewhere, I think that is coming and that would be the new price that would help our forever status as a price taker to tilt toward more socialism without the collateral cost of investors decamping. The trick is to hold on long enough for the new global price. Better still, anticipating this, we act preemptively. That is our salvation. Update: 6.25am the next day, while waiting for my daughter to get ready for school. TOC says, "Must watch, very the power" beautifully singlishly written. I am not a Tan Kin Lian or Tony Tan supporter though. 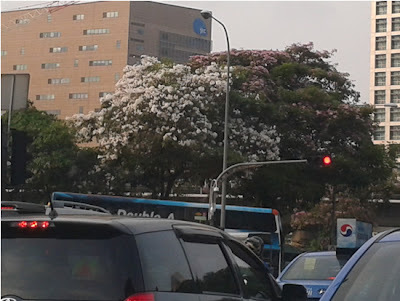 I have noticed this tree flowering for several days already. I just have to get a photo of it this morning. 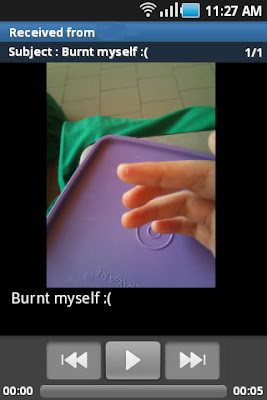 The younger girl burnt herself during D&T this morning. Will hear the full story later in the day. In ST today, we get informed of the back story to the story. Indeed and not surprising it was just simple old fashioned, an eye for an eye. Of course going further back, the PAP government had fixed it to their advantage first. You might say this is the practice all over the world, but Singaporeans would prefer that our politicians are exceptional. Similarly our multiracial society is unique. It takes a rare character to be like Gandhi, Mandela or Martin Luther King. To be practical, it is more realistic to assume we will not produce them. Because as Gandhi said, "an eye for an eye makes the whole world blind". First World Parliament, First World Government? It is a strain. We are today because we could not reproduce and appropriately evolved from our sterling beginnings. Failure provides the opportunity for alternatives. Successful self renewal from within the PAP is a busted myth. How many times have I blogged that Singapore is gradually becoming like any other first world city. We are getting less special and our premium is eroding. ‎"The PA is leveraging on HDB to enable PAP candidates who lost at the last elections to re-emerge as advisers to PA...The move to let PA control the sites previously managed by the tc would give PAP candidates an advantage and in preparation for the next elections...opposition candidates who lost at general elections will never ever have similar leverage..." - I totally agree with Yaw Shin Leong. The adviser to the Hougang grassroots organisations, Desmond Choo, shared with the media some difficulties faced by grassroots volunteers there in leasing land managed by the town council of Hougang. And truly giving to each deemed opposite as good as each get! Who set these unwritten rules of engagement that yielded such outcomes? ‎"Applications to the Hougang Town Council for use of land, which has been run by the Workers' Party since 1991, were often either rejected without reason, ignored, or approved - but only a day before the event was supposed to take place, he said." Sounds like how applications for permits for public protests or screening of 'sensitive' films/plays were rejected just a day prior to the event. Hougang SMC grassroots advisor Desmond Choo is applying for the transfer of the management of six plots of land from the opposition-run Hougang Town Council to the Peoples Association (PA). Got this from ST forum discussion thread. If it disappears, I believe the substance of it can be found at WP website. See http://forums.asiaone.com/showthread.php?t=42260 Low Thia Kiang gave a point by point rebuttal of Desmond Choo's allegations. I wonder how Desmond is not going to lose credibility. The PAP's moral capital is diminishing. When that is finished, other forms of corruption will appear. Choosing a President or a First Family? Why this fellow as the new PS for PMO? My daughter's poem: Maturity or Skill? Dr. Patrick Tan an exceptional talent?